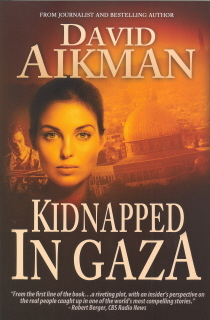 David Aikman’s Kidnapped in Gaza is a fast-paced, action-filled thriller about an American journalist, Richard Ireton, kidnapped while on assignment in Gaza. He is under threat of execution but may be rescued just in time by Israeli Special Forces who have identified where he is being held through a GPS tracking device installed in his belt.Strategic Media Books are distributed by Cardinal Publishers Group. The Gospel According to Prissy is a fascinating story populated with memorable characters. We have three Army veteran misfits, a college dropout, and unmotivated high school graduate accused of murder, a controversial warden of a women’s prison, a little girl with the gift of prophesy. Lara Kruger, 31, invites them into her life after suffering a miscarriage, a divorce from an abusive husband, and unemployment. It is a powerful tale told by a talented writer.